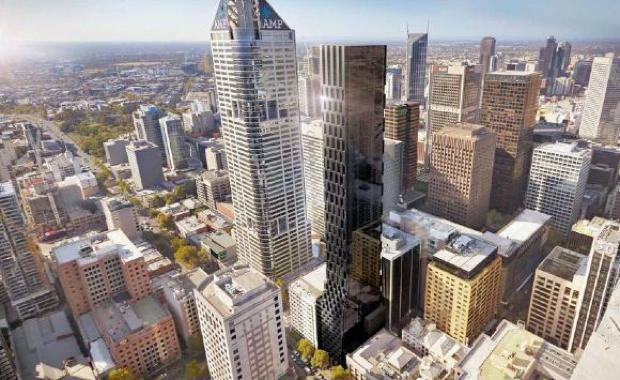 Sydney-based developer Besgate Group has submitted plans for a 57-level skyscraper on King Street in Melbourne's CBD. The proposed 188m high apartment building would be built at a site at 140 King Street and it would boast a distinctive 'link' facade with an interwoven pattern. The building would feature 271 apartments and a level 13 podium with a rooftop amenities area. There would also be 117 car spaces, 81 bicycle bays and a 107 sqm retail space with two tenancies. Architecture and design firm ROTHELOWMAN was appointed by Besgate Group to design the building. Under the proposal, an existing three-level office building would be demolished. 140 King Street is the first of three projects that Besgate Group has submitted for approval. It is also seeking approval for developments at 640 Bourke Street and 558-566 Swanston Street in Carlton.